Using feedback from existing TMC-1 customers the A-Mon is a full studio monitor system that incorporates some unique features including rear-side surround switching for 5.1. A-Mon pricing (Excluding VAT and Delivery), approximately 2 weeks delivery. amon-19115.bin: Jan 2019 fix bug in 2x7.1 Input Option and add Alt-Out 7.1 Option for * channel External Meters. To avoid any low frequency phase errors all signal paths (apart from talk back and listen back microphone inputs) in the A-Mon are DC coupled. To avoid cross talk any unused input is muted at the input. The metering uses precision rectifiers to provide approximately 60 dB of range. Gain Control on both inputs and outputs via CS3318 8 channel gain control. I just wanted to write you. 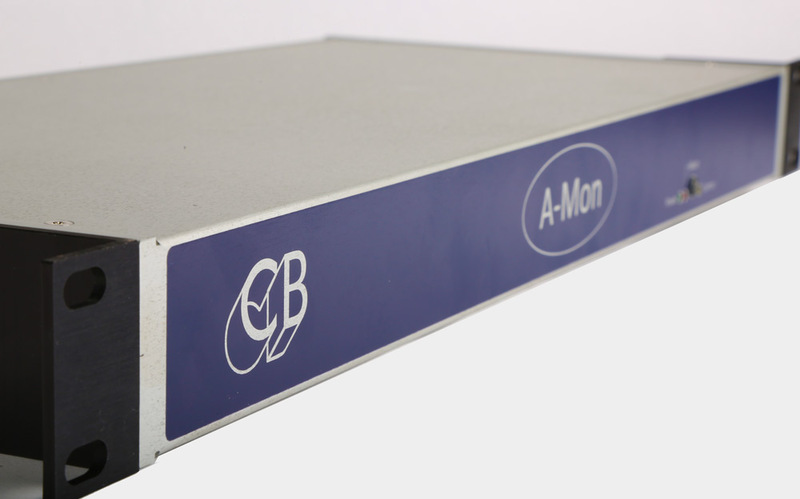 We’ve been very impressed with the sound quality of the A-Mon, we find it far superior to the X-Mon's we have in our other studios. The noise floor is excellent for post production work and we find out mixes have even more clarity as a result. Additional features such as the surround channel order and 7.1 muting capability make it an excellent replacement for the X-Mon. I hope that doesn’t sound too much like advertising, but it’s the truth.